Now is the time to see what the talented hands and minds of the instructors in the Departments of Fine Arts and Integrated New Media Studies create when they aren’t teaching. 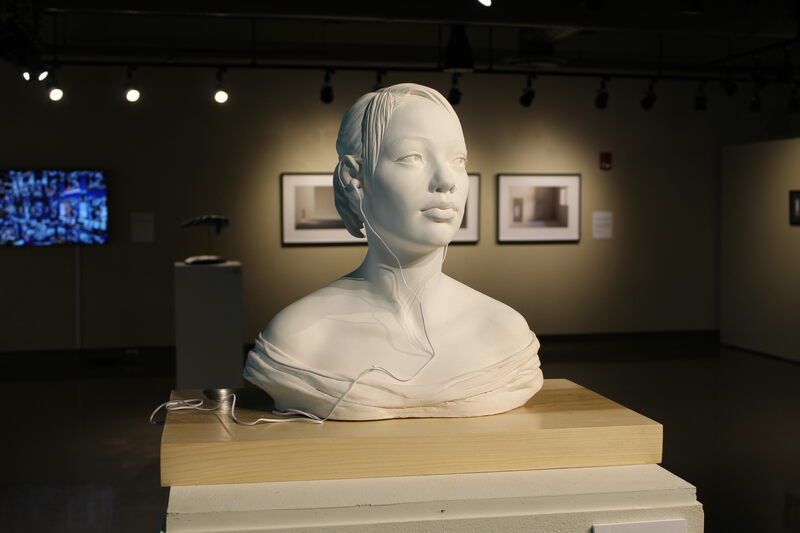 The annual faculty art show is open in the gallery in the Education and Arts Building this month and features works by current and past instructors. The gallery officially opened the show on Monday, September 17. 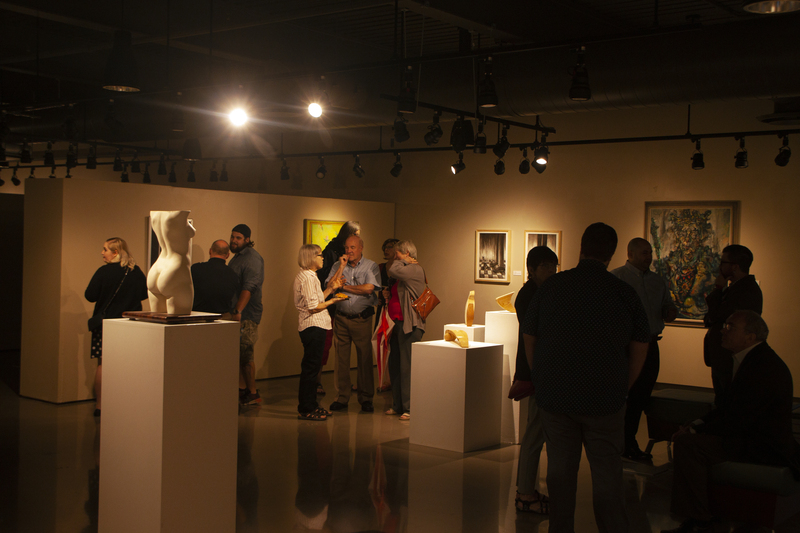 The opening reception, on Thursday, September 20 at 5 pm, featured the instructors talking with patrons about their works and inspirations and included free refreshments. 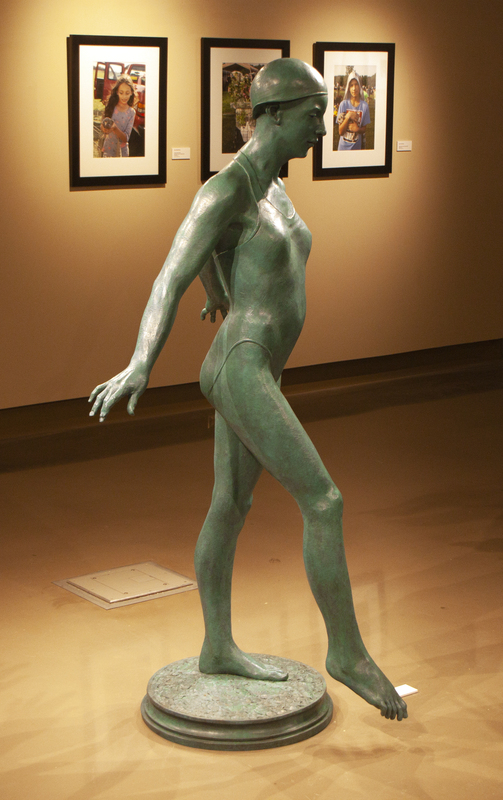 The exhibition runs until October 20. 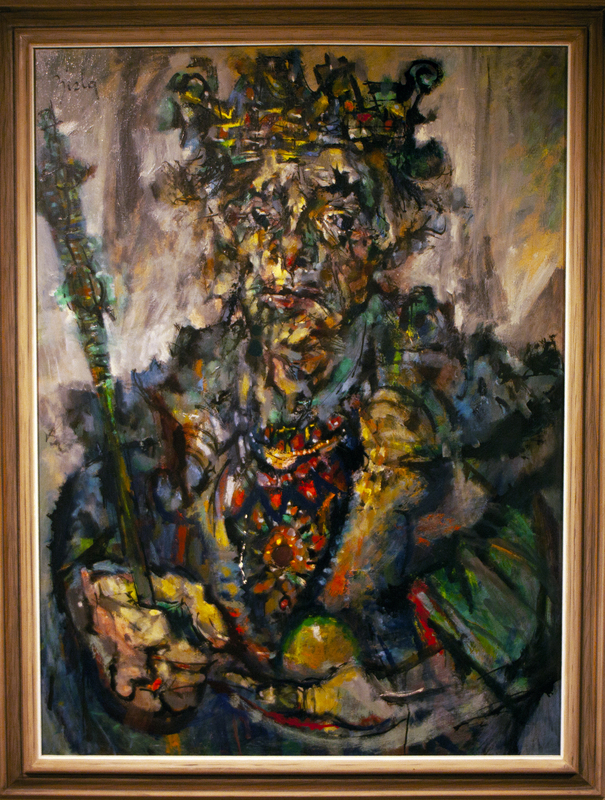 The faculty show contains work containing varied materials and subject matter. It is a great way for both fine arts students and new media students to have a glance at what their professors do outside of class and see what inspires them. This could help students understand why their professors works a certain way or why projects are assigned. “So often, we go into classes and trust that the person knows what they are talking about, and we just accept that,” says Ron Monsma, associate professor of fine arts. For many students, seeing their professor’s work can be an exciting opportunity. In Monsma’s case, demonstrations that he starts during class are rarely ever finished since he goes around to help students during class. The school year leaves little time for work for many professors, but with the opportunity to show work, Monsma and others find the time to present art they take pride in. “This year I wanted to put in one narrative figure piece, one still life piece, and one landscape. I don’t think I ever put a landscape in [the faculty show], so I wanted to put one in. So, I did figure, still life, and landscape, which are the genres I like to cover,” Monsma says. This annual show changes throughout the years. Some professors try to show work that they have recently completed, others like to show a broad sample of what they like to do. For instance, Bill Tourtillotte, lecturer in fine arts, is showing a poster and a pamphlet he recently made for the show.